Can you hear that? Off…. In the distance…. A trumpet calls: Triumphant. Exultant. Jubilant. You see, our long, national nightmare is finally over. Sawyer’s Swap, our American Barleywine, is back. Henry Sawyer: war hero, beer muse. 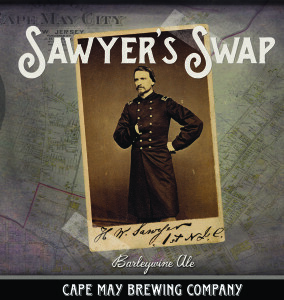 Sawyer’s Swap is the first beer we ever bottled, back in April of 2013. And we did it by hand. The last release of this beer happened in March of 2014, and that was only a couple of hundred cases. We didn’t bottle Sawyer’s Swap in 2015 because our expansion impacted production. We’re sorry. Sometimes, bad things happen to good people. No, the brew is not called “barleywine” because it’s made with wine. Or because it’s made with fruit. It’s called barleywine because it’s alcohol content is on par with vino. Think 9.6%. It’s hoppy (thanks to a Zythos hop blend) and very malty at the same time. We know — mind blown. 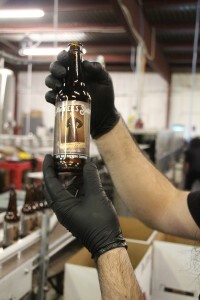 We’re bottling 400 cases(!) this week, and then kegging off the rest for tapping in our tasting room on February 25, and for distribution throughout south Jersey. The beer is named for a harrowing prisoner exchange that took place during the Civil War. Cape May resident and Union Captain Henry Sawyer was shot through the neck and captured by the Red Coats during Virginia’s Battle of Brandy, and he was slated for execution. Lucky for Sawyer, President Lincoln stepped in and orchestrated a sweet swap — the son of General Robert E Lee for the life of Sawyer. The war hero then returned to Cape May, where he built the storied Chalfonte Hotel. We’ll bottle another 400 cases in April, for a total of 800 in 2016. Here’s a cool bit of news. 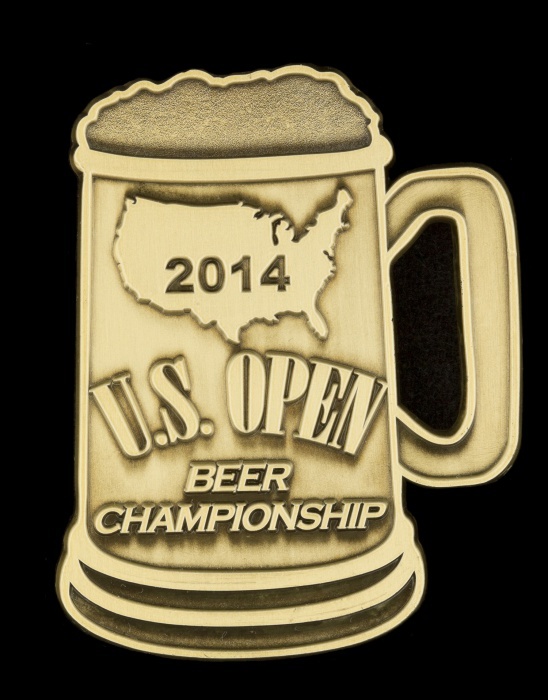 On July 4, our fourth anniversary, we found out that our Sawyer’s Swap barleywine ale took home a silver medal from the US Open Beer Championship, based in Ohio, in the aged beer category. Professional brewers and award-winning homebrewers from around the world entered nearly 4,000 beers to be judged by experts from England, Canada and the US. Also this week, we got a cool shout-out in SJ magazine’s Best of the Shore food edition.